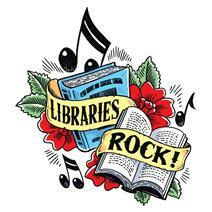 The Mayor's Summer Reading Club: Make Music 2:00-4:15 p.m.
Join us for the Mayor’s Summer Reading Club at the North Richland Hills Library this summer and learn how much Libraries Rock! This week, help us Make Music in The Maker Spot! This program is appropriate for ages 6 and up. All children under the age of 13 must be accompanied by a parent or guardian over the age of 17. Feel free to come and go from 2:00-4:15 p.m. Participants can earn prizes for reading June 2 - August 4, 2018 and those that read more than 15 hours will be entered into the grand prizes drawing. Register and log hours online at library.nrhtx.com/onlinesrc. Please call 817-427-6818 or visit library.nrhtx.com/src for full rules and information.